The Fresno Pacific University Women’s Soccer Prospect ID Camp will engage the participants in a positive, fun, and challenging training atmosphere. It will provide the participants the tools essential to succeed in the game of level soccer as well as in life in general. Furthermore, the program aims to provide prospects an exposure to a highly competitive collegiate atmosphere. This program also gears on harnessing each individual strengths on both the technical and tactical aspects of the game. The Fresno Pacific University women’s soccer coaching staff will provide their instructions, assessments, and evaluations. This is a 2-day event from August 11 to August 12 that will take place at the Fresno Pacific University campus. All 14 to 18 years old girls are welcome to join. Fresno Pacific University is a private, coeducational, liberal arts university in Fresno, California. It is an affiliation of the Mennonite Brethren Church. The university as a whole has an accreditation from the Western Association of Schools and Colleges Senior College and University Commission. Meanwhile, its Biblical Seminary programs have an accreditation from the Commission on Accrediting of the Association of Theological Schools. Its Bachelor of Science in Nursing and The Master of Science in Nursing programs have an accreditation from the Commission on Collegiate Nursing Education. In addition, the university’s School of Education credentials and certificates have an accreditation from the California Commission on Teacher Credentialing. It is also among the region’s top performing academic institutions. In fact, it is 41st in both the Regional Universities West and Best Value Schools, 2018 edition rankings. The university also fields athletics teams in the Pacific West Conference of NCAA Division II. The Fresno Pacific University women’s soccer Head Coach is Rob Podeyn. Coach Podeyn is a USSF “A” Coaching License holder. He is also a NSCAA national youth diploma and a NSCAA national goalkeeping diploma. Then, the team’s Assistant Coaches are Terry Stewart, Ali Skogrand, and Justin Cruz. 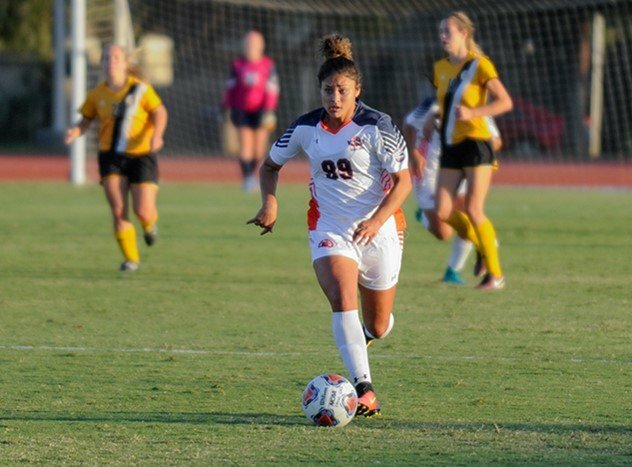 The Fresno Pacific University Women's Soccer Prospect ID Camp will engage the participants in a positive, fun, and challenging training atmosphere.